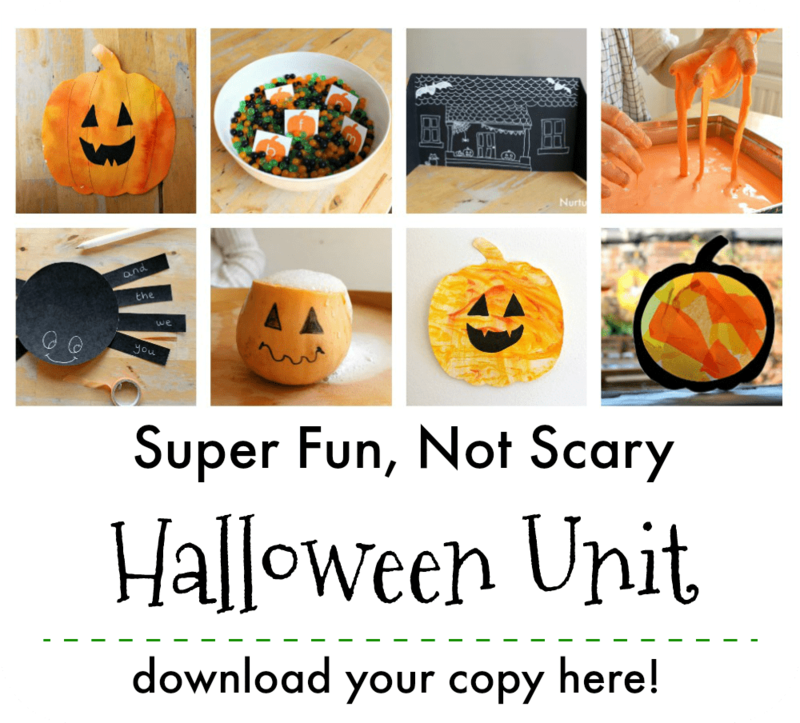 This Halloween pumpkin craft is certainly messy play and great fun for children who love to get their hands into everything. Blow up a balloon. We used small balloons and gave them a bit of a squish to get more of a pumpkin shape. 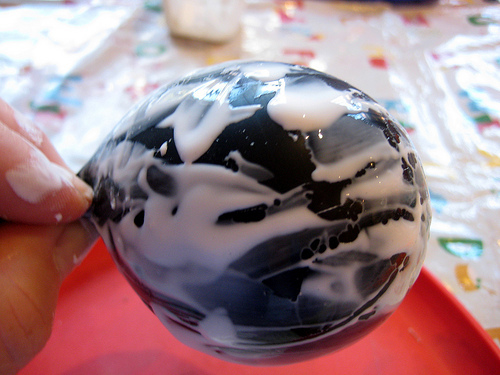 Cover your balloon in lots of washable PVA / craft glue. 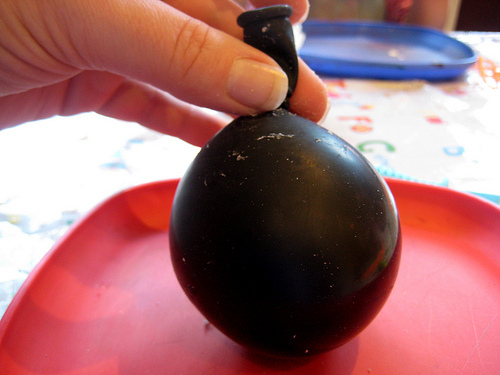 Your hands made end up looking like this but that’s all part of the fun. 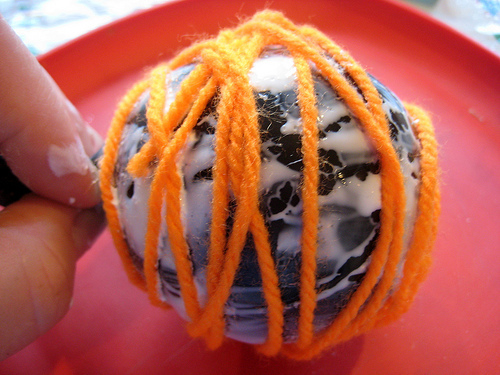 Wrap lengths of orange yarn around your balloon, adding extra glue as needed to get it to stick in place. Once your balloons are covered, hang them up to dry using the tied end of the balloon as a handle. 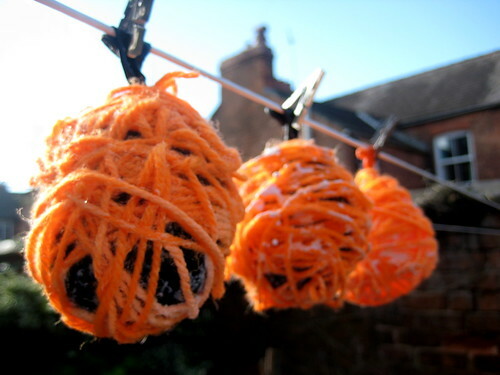 Ours dried in a couple of hours on the washing line but you might need to leave them over night depending on just how much glue you used. 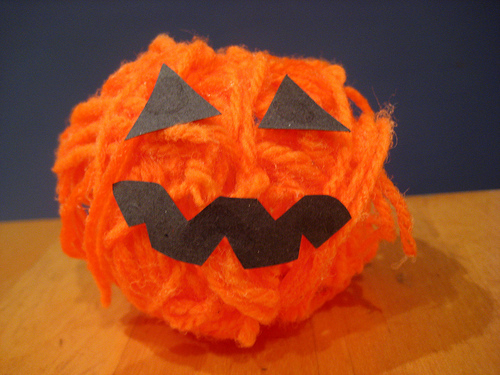 When the glue is completely dry you can pop your balloon and peel it away from the yarn, leaving behind your pumpkin shape. Add eyes and mouth cut from black paper to make your Jack-o’-lantern face. As each child made their own face each of ours seems to have their own personality. 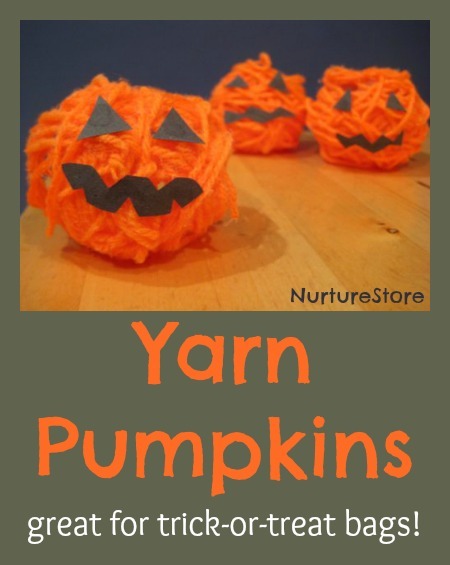 You could add a green thread on top to hang them up, or fill them with sweets as a Halloween goody bag. Very cute and fun indeed! Love them. Aren’t these cute! Thanks for sharing! So creative! Glad that it looks pretty easy! We’d love if you’d share with our Countdown to Fall link party! Hope to see you there! Happy weekend! So very cool! We have white yarn, maybe we’ll try ghosts! Thanks for sharing!